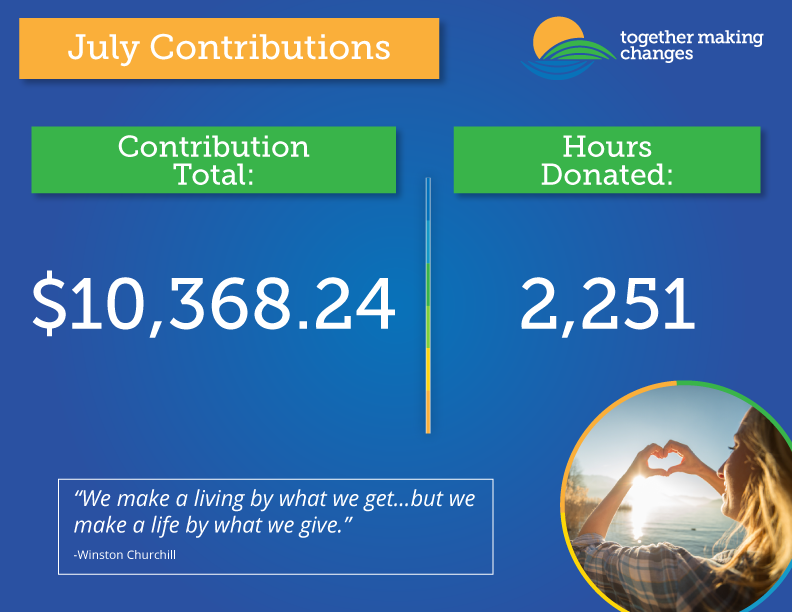 Together Making Changes July Contributions! With the help of our TMC family, we are able to give back to those in need. A total of $10,368.24 was raised during the month of July through team member payroll deductions, donations and fundraisers! To us, one of the most rewarding aspects of running a successful business is the opportunity it provides to give back. We created Together Making Changes precisely for this purpose. As a qualified 501(c)(3) tax-exempt charitable organization, Together Making Changes provides assistance to various initiatives supported by TMC team members, residents and patients. Our efforts focus on promoting positive health, education, spiritual, and financial outcomes for the people, organizations, and communities we serve.